I think it was very easy and simple for me to decide. I was interested in the landscape of human face, of my protagonists‘ faces. The film is about different and difficult emotions. We can see the feelings on the faces, in the eyes – all these small movements. I tried to catch all of them. That is why I decided to make the “en face” and not besides, straight to the camera. We used three cameras because we had three protagonists and it was absolutely crucial for me to be very precise in editing, to catch all of my heroes‘ reactions which means two women and one man sitting in a kind of triangle in a small room and having 5 psychotherapy sessions. They were safe and in the same time completely “naked” in front of our cameras. I think it was a perfect situation for us. We had three different points of view of this situation and I can imagine a film in which we do not see the psychotherapist editing only the women’s faces, or solely the therapist – it’s another way of thinking. But we wanted to catch everything having the total freedom in the editing room. In this special triangle, all three characters were very interesting; this was not so obvious in the various material we shot with other couples, because we shot over 25 different psychotherapy situations with different protagonists. In this case, though, all three people were interesting and that is why we decided to make a film about them. The professor was great with his narration. It was the first time in my life making a film where we kept this chronological order till the very end (the first session is first and the last is the last), and we never mix times even during a session either. Because it was a solid work of Mr Barbaro. He was the perfect director of this conversations. No, right from the start, he was very open to my idea of making a film about his work and he put a lot of trust in me. Which was good but also quite difficult for me at the same time. I was trying to make a film which could be good for him and for the audience as well. My editor Dorota Wardęszkiewicz and I decided to show him the film just after making the last rough-cut. I was not certain whether we made a good job from his point of view. Fortunately, he decided that he, as a character was OK and we didn’t spoiled his method of work. He is using his own, special method of doing psychotherapy. For example, he repeats the same question, not by mistake – it is his trick. Because he knows that when he has asked the same question five times, the answer can be a little different. But we cannot do that in the film. It would not be so clever to use this kind of repetition. So we decided to cut off all the repetitions that he used on purpose. That is why I was a bit afraid that, maybe, he would not be 100% satisfied with this kind of bending of his method. In one interview you said that you received a lot of feedback from other therapists. It seems that your film became a therapeutic tool, doesn’t it? Tutoring for Ex Oriente Film was sometimes difficult for me. I try to be a tutor but still being a film director at the same time. Obviously, if someone is showing me his materials I am automatically making my own film of it. But I tried to stop myself – it is their film. I try to follow their way of thinking the director’s or cameraman’s feeling. I ask them the questions: What do you want to say? What you want to show? How do you intend to do it? What is the story going to be about? What is your message? Why are you showing it to me and then to the audience? I think the crucial thing in teaching is not giving an answer but just asking the questions and making students or directors think about the right answer from their side. I try to find different paths, ways of thinking for each project. Maybe you can change protagonists? What do you think about putting the camera on the other side? So this kind of talk, not giving a straight yes/no, good/bad answer, just discussing it. When I make my own films, I still need somebody to discuss them with – it could by my cameraman or editor or both. Because when you make a film, you are alone, facing a lot of questions with no answers and having to find the answers on your own. So you have to ask people what they think about it. That is why this kind of training is so important for filmmakers. What is going to be next? That’s the main question that we ask ourselves in the editing room. I would love to be there with my new material. I’m looking for a new idea right now. Maybe a feature film? It could be nice. My last film is a small step towards a fiction film with real actors. Maybe I will follow this line! Who knows? 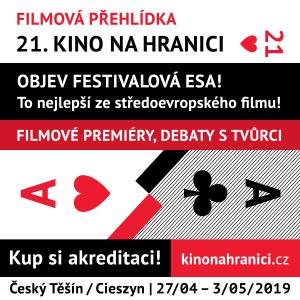 Ex Oriente Film is an international training programme for documentary professionals supporting the development and funding of creative documentary films from Central and Eastern Europe. 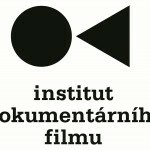 The core of the Ex Oriente Film workshop is based on three week-long residential workshops held over 9 months.